WINNIPEG, Manitoba – Thomas Kennedy and the Kennedy Racing Team are excited to announce Buffalo Wild Wings will be on-board the No. 21K in 2018. Kennedy and Buffalo Wild Wings teamed up for six events in 2017, where Kennedy raced the Blazin’ Racin’ No. 82 to three top five finishes over a three week stretch. Thomas Kennedy picks up his 1st career River Cities Speedway victory. 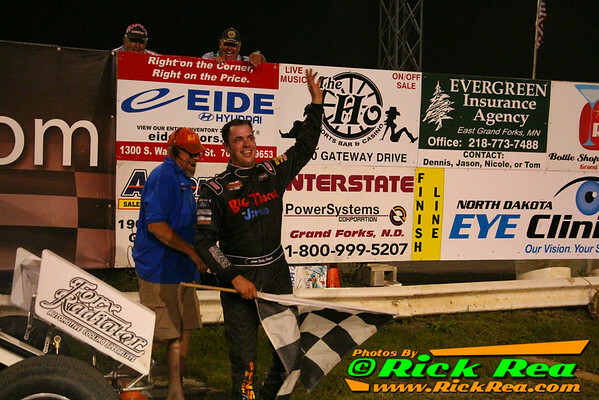 GRAND FORKS, ND (August 16) - Thomas Kennedy has many feature wins at many different tracks to his credit, but there has always been one track that has eluded him of a victory. 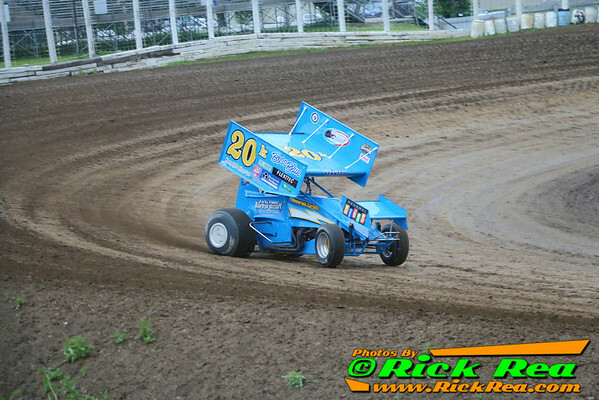 All that changed Saturday at River Cities Speedway as Kennedy wheeled his way to RydellCars.com Victory Lane for the first time in his career. Mark Dobmeier collects his 105th RCS victory. GRAND FORKS, ND (July 25) - Mark Dobmeier came from the sixth position to pick up the Northern Outlaw Sprint Association win Friday night at "The Bullring"
The World of Outlaws World Record fastest lap ever, was set at The World Famous Legendary Bullring River Cities Speedway at a lap time of 9.269 seconds and average speed of 116.517 miles per hour on August 21st 2009 by Outlaw driver "Hot Foot" Jason Meyers. UNTIL NOW, on June 13th 2014 Thomas Kennedy, son of world famous sprint car driver Lou Kennedy Jr and Grandson to the one and only Outlaw Sprint Car Hall of Fame Legend Lou Kennedy from Winnipeg Manitoba Canada exploded the record and laid down a 8.691 second lap time and a super sonic fast top speed of 124.266 Miles per hour. WOW, Thomas was so hooked up on the super heavy tacky rain soaked high banked 0.3 mile Bullring Dirt Track it was like watching an Electric Blue Fighter Jet in a gymnasium. This is an unofficial lap record time until transponder is verified as working properly. Everyone get to River Cities Speedway and congratulate Thomas in the pits after you watch him race on The World Famous Legendary Bullring as he NOW officially owns the quickest lap time in history and we now know Thomas as the fastest man in a sprint car EVER!